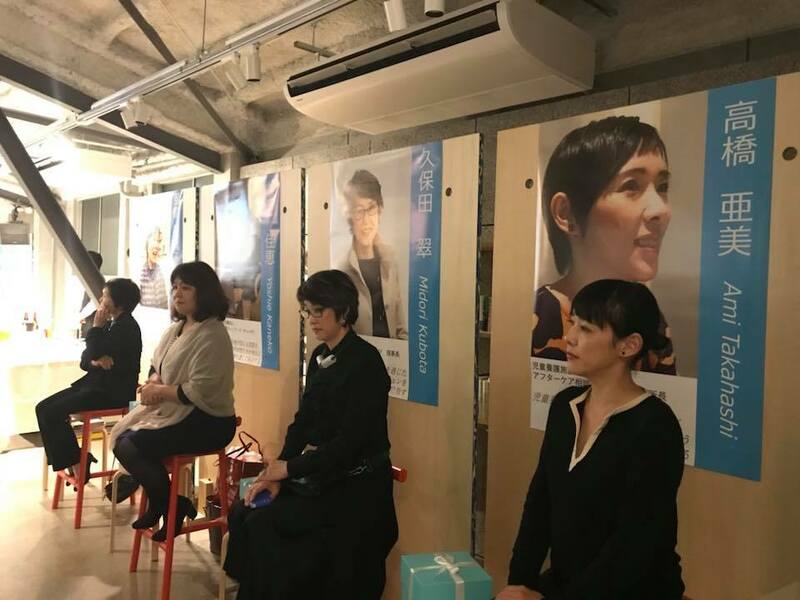 Atsuko enthusiastically described her passion to support and empower female leaders in Japan at “Fish Family Foundation & The Nippon Foundation CANPAN・NPO Forum” happened on December 6th in Tokyo, Japan. Atsuko gave a lecture on what role family foundations play in the U.S. society. 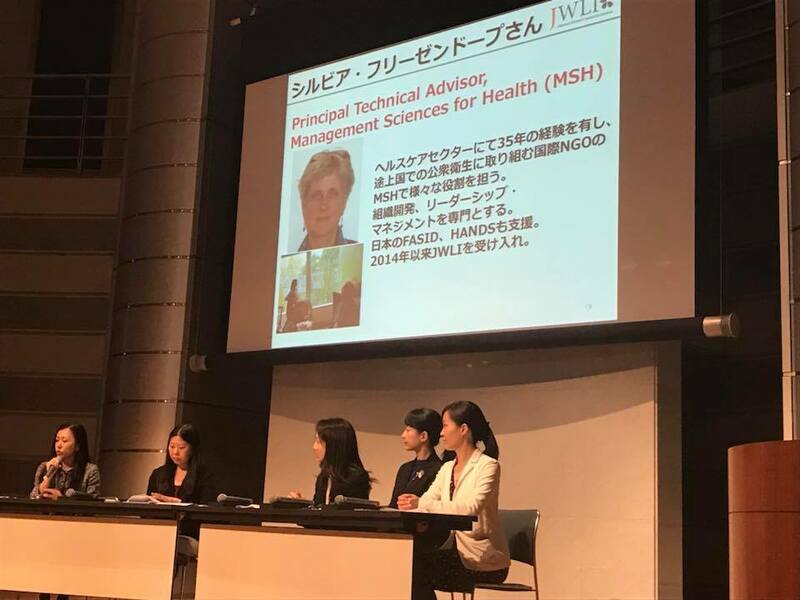 Additionally, she gave a powerful talk on how she expects female leaders in Japan to bring positive social changes to brighten the Japanese society. Furthermore, the 2017 JWLI Fellows shared how they are going to use the lessons they learned during their stay in Boston to make their Action Plans come true. Together with Atsuko and the 2017 JWLI Fellows, the participants of the event completed worksheets for describing the problems they are seeing in Japan and brainstormed what actions they can make to fix it. 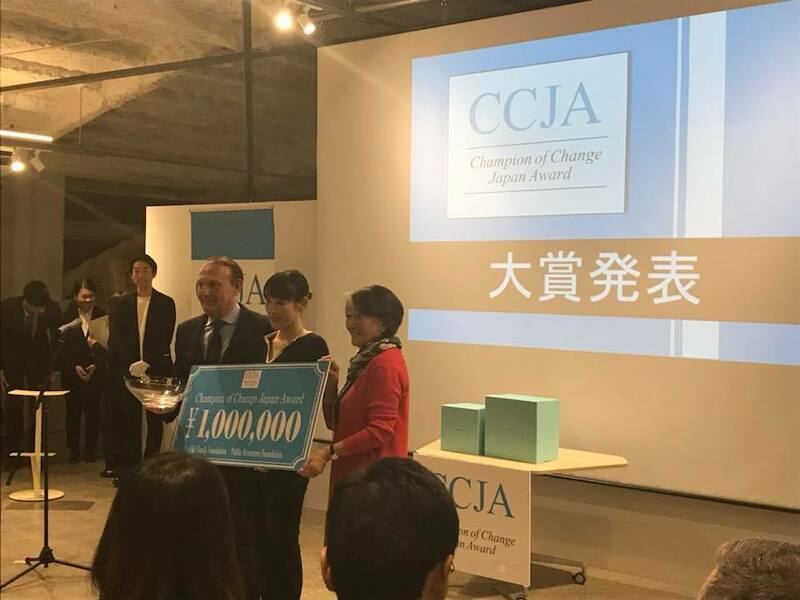 The first “Champion of Change Japan” was announced at the Champion of Change Japan Award Ceremony happened at 100BANCH in Shibuya, Tokyo. 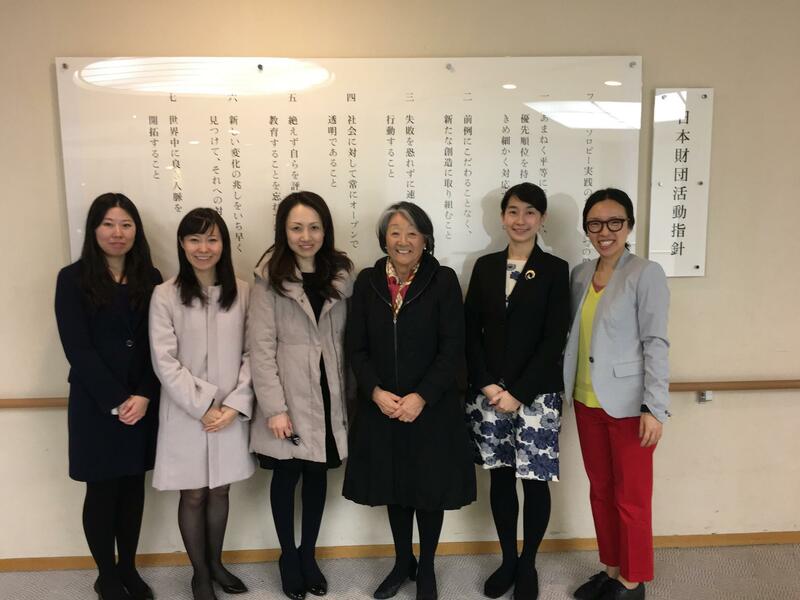 The award was established by Atsuko Fish and the Fish Family Foundation early this year to shed light on Japanese women leaders who work hard every day to address the most pressing needs in their communities. After receiving the Champion of Change award from The White House back in 2013, Atsuko established the Champion of Change Japan Award to recognize the unsung heroes who are working at the grassroots level. The award ceremony started with a wonderful opening speech given by Daniel Perel, the president of Tiffany & Co Japan Inc. Among the 145 competitive applicants, 8 finalists were invited to the ceremony. 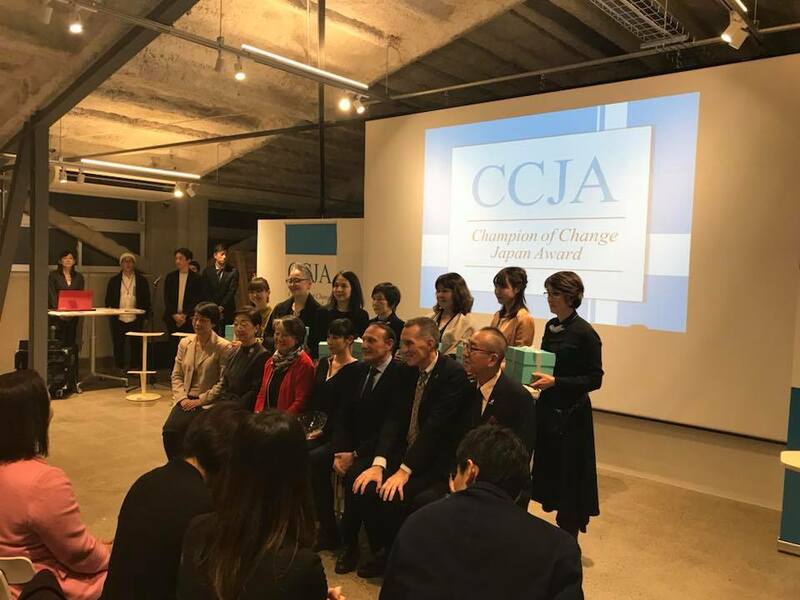 Everyone at the event gave a big round of applause when Ami Takahashi, a female leader who has an organization that supports at-risk youths, was chosen as the Champion of Change Japan. In addition to a cash prize, Ami received a crystal bowl designed by the world’s notable designer Elsa Peretti. 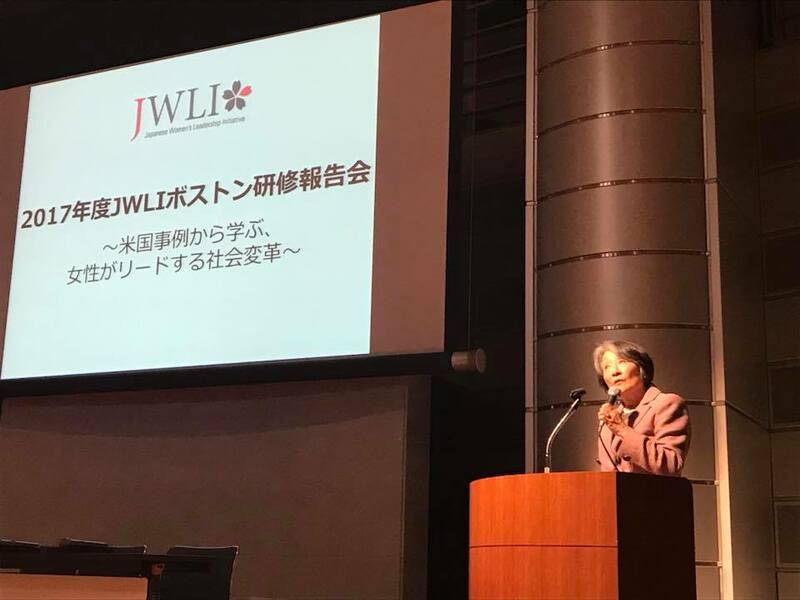 The Reporting Event in Tokyo by the 2017 JWLI Fellows was a Huge Success! The 2017 JWLI Fellows shared their experiences in Boston at the Reporting Event happened on December 2, 2017. In addition to the business lessons they learned in at Babson College, the Fellows described how their encounter with the “role models,” the business leaders of non-profit organizations in Boston, led to their personal growths as well as improved leadership skills. In addition, the Fellows shared their improved Action Plans that they have been polishing since the beginning of the program. The event venue was packed with the audience that was eager to learn about JWLI program. 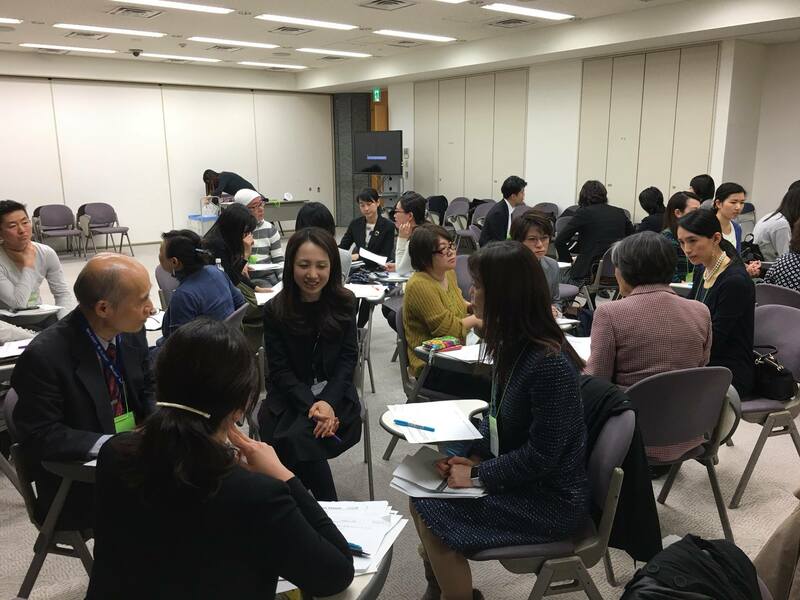 Saori Osu, the 2017 Fellow and the Representative Director of Working Mothers Association of Japan, looked back at the month-long program in Boston. We are looking forward to seeing the positive impacts our Fellows will be bringing to the Japanese society. http://jwli.org/wp-content/uploads/2017/06/jwli_logo.png 0 0 admin http://jwli.org/wp-content/uploads/2017/06/jwli_logo.png admin2017-12-07 16:59:122017-12-07 16:59:12The Reporting Event in Tokyo by the 2017 JWLI Fellows was a Huge Success!